We loved our stay at Zion! It was fully equipped, clean and charming. We enjoyed staying on the canal. It was beautiful and peaceful. We brought our kayaks and fishing poles, heaven. The walk to the beach was a quick one, 1 1/2 blocks. It was our first stay in Ocean Isle. We loved the island and will definitely coming back to this house! We are a family of 5. We loved this Home and the location. The canal was fun for fishing, floating and kayaking. The beach was a quick walk, a block and a half away or you could drive and park in lot. The house was clean and equipped with everything we needed. The upstairs loft was perfect for the kids to watch cartoons while the adults socialized. Can’t wait to return next year! We really enjoyed our stay. The house was beautiful. We liked sitting out on the decks and going to the beach which is so close. We plan on going back again. 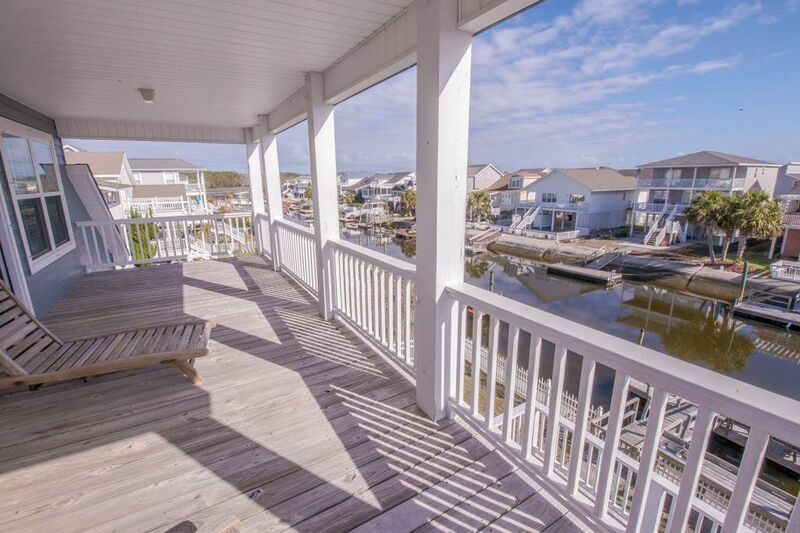 Gorgeous views, perfect location- just a short walk to the beach. The home is so bright and inviting, and is a perfect getaway for groups of friends/families large and small. Can’t wait to go back!